All parents/guardians are invited to attend a community-wide ministry of Park Place Baptist Church called Family Foundations. The purpose of this time is to help equip parents to disciple their children with important biblical foundational truths. In each study, we look at a question that correlates to what our children are learning about in Sunday School at PPBC, such as “What is God Like?” or “Why Can We Trust God?” During these sessions, parents are also given practical resources to help teach their children these biblical truths. 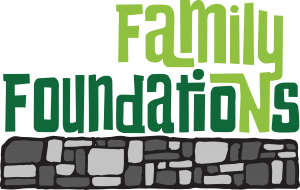 Park Place has two different formats for these Family Foundations sessions. We host a Sunday evening session once a month on a Sunday evening (typically the first Sunday of the month) that is primarily for church members. We host an additional session (usually covering the same material), along with a meal, later in the month during the day, that is typically for non-PPBC members. Information for the next session can be found below, as well as a form if you would like to sign up for the next day session!